1. ORDER AND PAY ONLINE - You can pay online right now through WeGotTickets. Please note there is a 10% transaction fee payable. They will send you a confirmatory email and you can then bring that with you so you can pick up your tickets on the door on the night. If you would like to pay online, click HERE - or on the logo opposite this text. NOTE - the online box office closes at 12 noon on the performance date. 2. 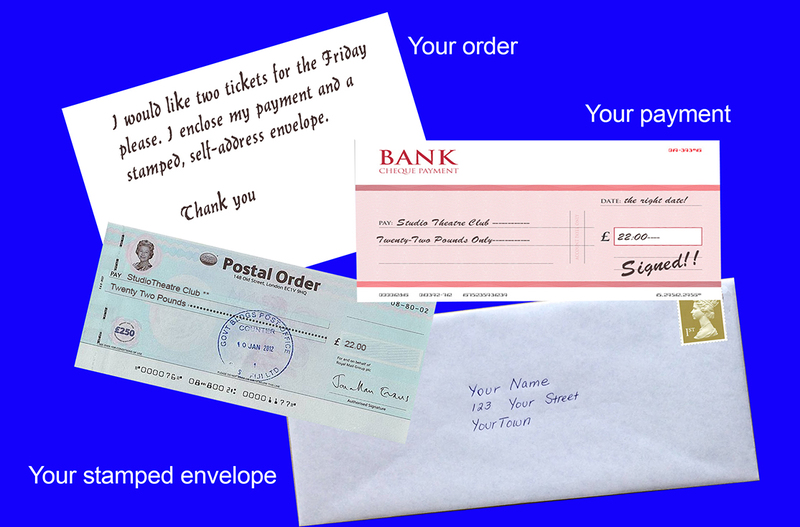 POST US YOUR ORDER - Send us your order, along with your cheque or Postal Order (payable to 'STC', and we will send you your tickets straightaway. Please send to - STC Tickets, PO Box 1486, Oxford, OX4 9DQ. 3. 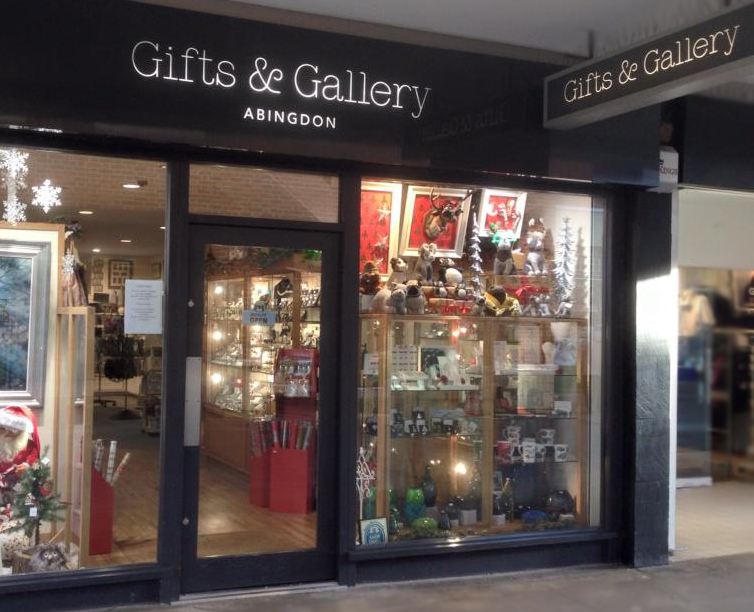 BUY IN ABINGDON - A little nearer the show, you can buy tickets in person at Gifts and Gallery, 25 Bury Street, Abbey Centre, Abingdon, OX14 3QT. 3. EMAIL US - From 1 July, when there is no time to post tickets to you, you can send us an email HERE letting us know what tickets you would like at what prices. We will put those on the door for you pay for when you collect them. Please note - at the moment, we can only take payments at the theatre in cash. Click on this logo to access our online sales page. PAYING. Cash or cheques only, please. Although we do have an iZettle card reader, the broadband signal at the Unicorn Theatre is too poor for us to guarantee the equipment could operate reliably - (or quickly enough to be a viable option). SEATING. The Unicorn Theatre does not have numbered seats. All seats are sold as unreserved seating. Our front of house team will do their very best to seat people together but please ensure you arrive in good time, or this may not be possible. The Unicorn Theatre is part of Abingdon Abbey Buildings - a scheduled ancient monument. There are lots of steps and awkward changes of level throughout the building. There is, effectively, no wheelchair access for most productions (including this one) and the buildings may pose challenges for anyone with mobility issues.